The 2018 Chippewa Valley Air Show is coming up! Saturday, June 16 and Sunday, June 17 at the Chippewa Valley Regional Airport in Eau Claire, Wisconsin. Whether you are an air show newbie or have been to dozens of air shows over the years, we have a schedule packed full of activities and attractions you will not want to miss! Need we say more? 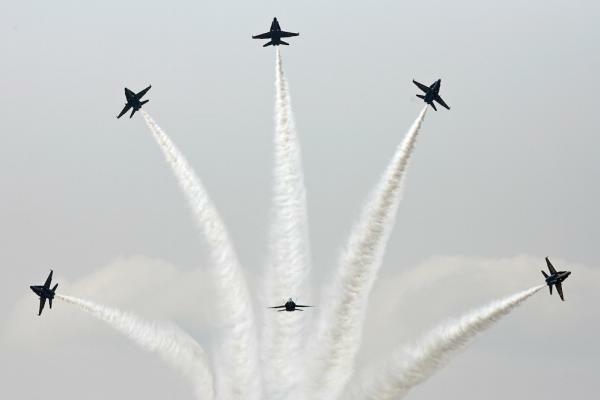 We are so excited to welcome the U.S. Navy Blue Angels back to the Chippewa Valley as the headlining act at this year&apos;s air show. The Blue Angels&apos; mission is to inspire a culture of excellence and service to country through flight demonstrations and community outreach. 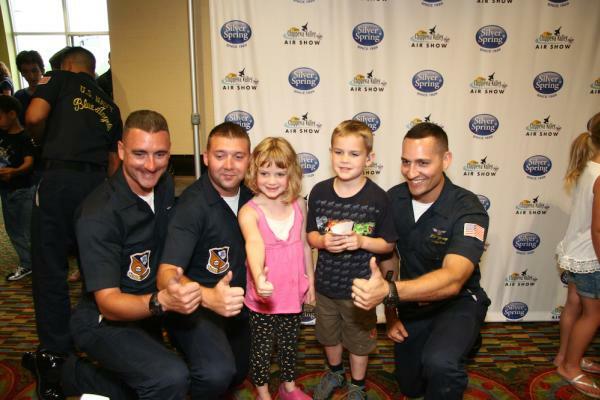 The Blue Angels serve as positive role models and goodwill ambassadors for the U. S. Navy and Marine Corps. I have seen the Blues perform more times than I can count and I am still amazed every single time I watch the team take to the sky. Both the maintenance crew and pilots perform with a level of precision and skill not found in many places. From the loops and rolls to the high-speed passes, you will feel your head on a swivel as you watch for the next wondrous pass. It is an experience you will remember for a lifetime. Sunday, June 17 is Father&apos;s Day, and we cannot think of a better way to celebrate dad (or grandpa) than bringing him out to enjoy a day full of high-flying action! In addition, if he served in the U.S. military, this would be a one-of-a-kind opportunity to ask him to share a few stories about his service. 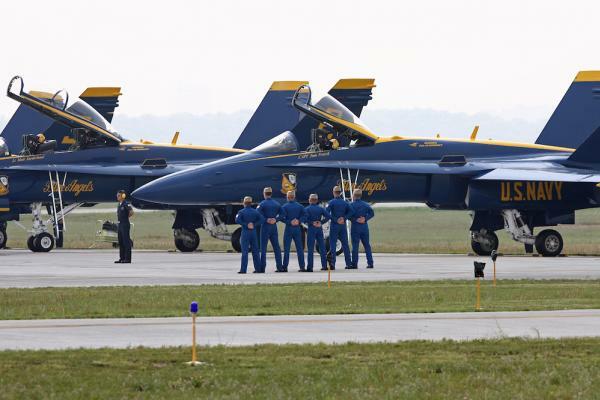 How would you like to meet some of the 2018 Chippewa Valley Air Show performers, including the U.S. Navy Blue Angels? Don&apos;t miss our public meet and greet event! This free event, sponsored by Silver Spring Foods, will be held on Friday, June 15 from 7:15 and 8:15 p.m. at the Holiday Inn located at 4751 Owen Ayres Court in Eau Claire. You will have a chance to meet the performers, get their autograph, and take pictures with them. A group opportunity for the aspiring pilot in your life! We are thrilled to have the B-29 Doc visiting the Chippewa Valley in June. Doc is a B-29 Superfortress and one of 1,644 manufactured in Wichita during World War II. In 1987, Tony Mazzolini found Doc sitting and rotting away in the Mojave Desert, and the rest is history. 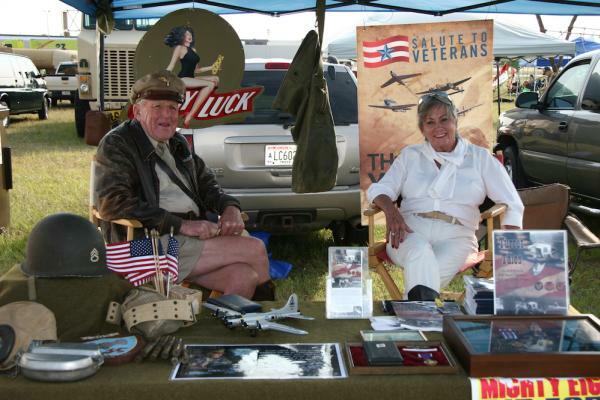 Doc now serves as a flying museum and a group known as ‘Doc&apos;s Friends&apos; is committed to returning this World War II warbird to the air to honor previous generations, educate current and future generations, and connect the world to the rich heritage of aviation. Feel the need for speed! 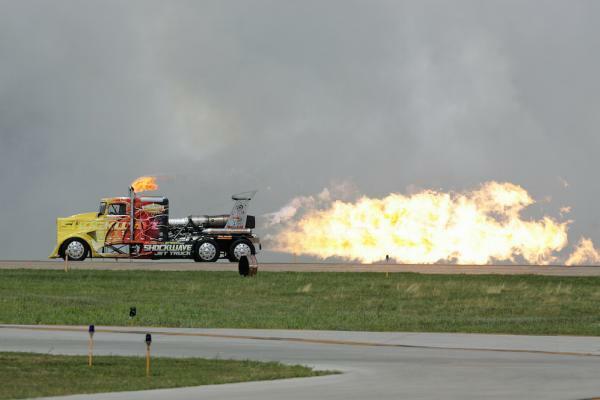 We are excited to welcome Shockwave Jet Truck & Flash Fire Jet Trucks back for this year&apos;s air show. Shockwave is a custom-built race truck equipped with 3 huge J34-48 Pratt & Whitney Jet Engines originally out of the USA Navy T2 Buckeye. The combined horsepower is 36,000! These 3 Jet Engines make a total of 21,000 lbs of thrust which effortlessly propels this truck to speeds over 350 mph. Shockwave is not only the most powerful truck in the world, it also holds the record speed for Semi Trucks at 376 mph! You don&apos;t see that every day! Get ready! 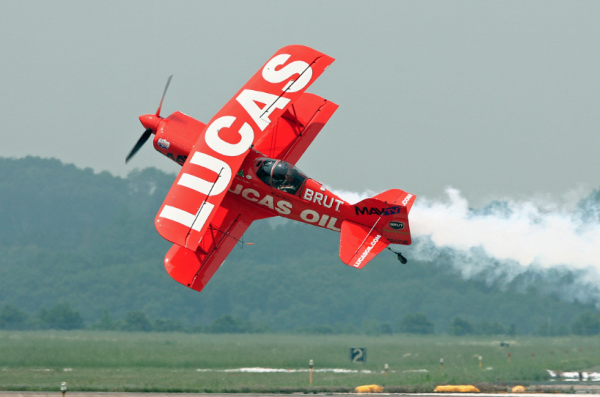 Michael Wiskus with Lucas Oil Air Shows will show off his high-performance aerobatics at the 2018 Chippewa Valley Air Show. As a 2002 U.S. National Aerobatic Champion and a member of the 2004 U.S. Aerobatic Team, Michael has traveled the World with the same aircraft you will see him performing in at our air show. You won&apos;t want to miss his Michael&apos;s incredible high-performance aerobatics smothered in smoke and noise! Know a military buff or someone who just loves airplanes? You will find several unique vendors on the grounds at the 2018 Chippewa Valley Air Show offering everything from aircraft prints to U.S. Navy Blue Angels merchandise. 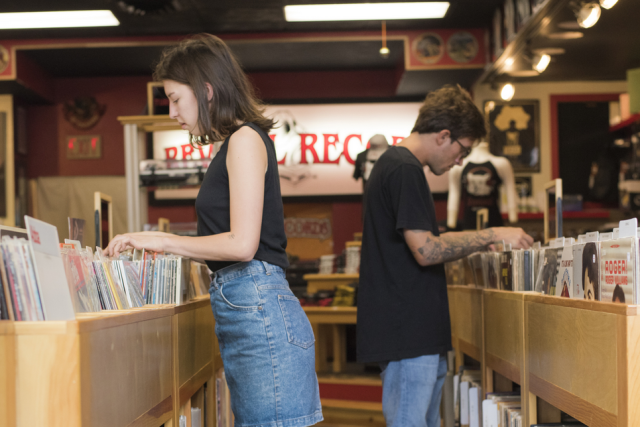 You will likely find something here you won&apos;t see anywhere else! Have you ever stood just inches away from a military warplane? How about a tank? When you aren&apos;t looking up, there will be plenty of displays on the grounds at the Chippewa Valley Air Show that will have you saying "wow"! 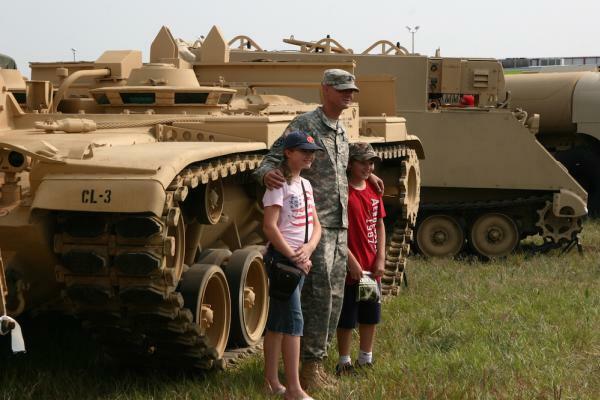 From a B-25…to a C-130…to a T-34 tank…you&apos;ll be able to get up close and personal with military vehicles you may have only seen in the movies. Bringing little ones? 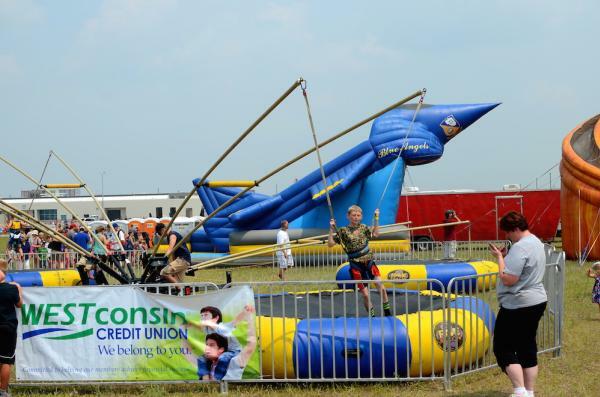 Don&apos;t miss the Kids Zone, sponsored by WESTconsin Credit Union. 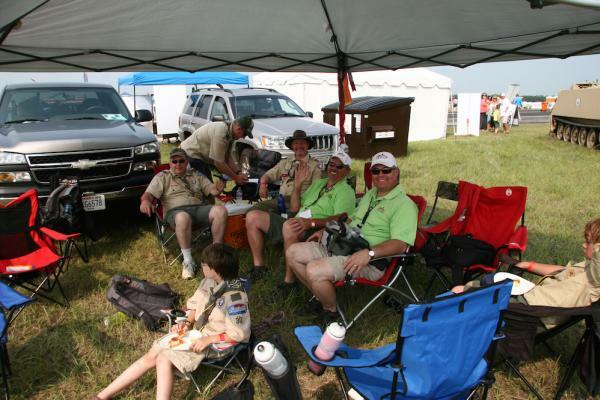 Here you will find rides for the kids and fun activities from the Boys Scouts of America. This one is a two-fer! Not only will you marvel at the speed of the F-16 as it zooms across the sky, but you&apos;ll also get to watch this powerhouse glide alongside a P-51 Mustang. Heritage Flights seek to honor the contributions of every man and woman who has served in the United States Air Force while educating the public on the importance of the U.S. Air Force and its mission. The air show gates open at 8:30 a.m. each day and we encourage you to come early to claim your viewing spot for all the great performances. 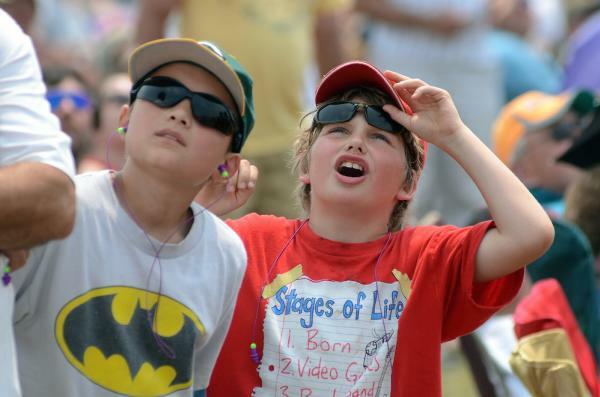 There is nothing like seeing a child&apos;s eyes light up when he or she watches a plane do barrel roles in the sky. The same goes for mom, dad, grandma, and grandpa! The 2018 Chippewa Valley Air Show is truly an event everyone in the family can enjoy. It is a great opportunity to learn about military history together and marvel as you all wonder "how do they do that?!" Children age 12 and under are free, compliments of CCF Bank, and do not require a general admission ticket. If you plan to bring young children to the event, don&apos;t forget to bring ear protection. It gets LOUD when those jets are zooming through the air and you&apos;ll want to make sure their little ears are protected. It&apos;s also a good idea to bring sunscreen, a hat, sunglasses, and refillable water bottles. There will be water stations on the grounds to help you stay hydrated. Insider Tip: Coolers or carry-ins will not be allowed and you cannot bring any outside food or drink. As for seating, we encourage you to bring chairs for everyone in the family, including those that come in a bag. Can&apos;t wait to get your tickets? They are available online at www.chippewavalleyairshow.com/tickets or at any Menards or Mega Holiday location. General Admission tickets are $30 online/advance and $40 at the gate. We highly encourage you to purchase your tickets early. Not only will you save $10, you will also get on the air show grounds faster. On-site parking this year is free thanks to United Bank. Reserved Seat Tickets are $60 per day and include a reserved, assigned seat at the front of the crowd and access to a car bar. New this year is the President&apos;s Club seating area. For $125 per day, you will receive frontline seating, access to a large tent, buffet line, two drink tickets with a cash bar, complimentary soda and water, and access to private restrooms. We invite you to check out our Chippewa Valley Air Show Facebook page to stay up-to-date leading up to and during the air show. And, once on the grounds, use #CVAS18 to share your photos via social media. We&apos;ll see you at the show!